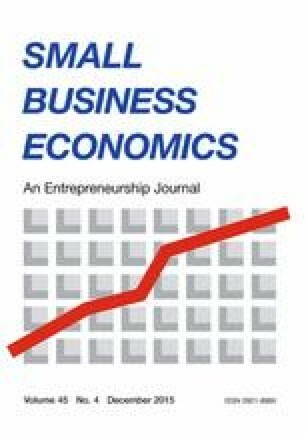 Drawing on family business studies and the knowledge-based view of economic growth, we develop and test a model of how the prevalence of small- and medium-size enterprises (SMEs) under family control affects economic growth. Specifically, we propose there is an inverted U-shaped relationship between family SMEs’ proportional representation and economic growth owing to their relative strengths and limitations vis-à-vis non-family SMEs. Using state-level data from the US between 2004 and 2010, we find support for our hypothesis and the underlying contention that economic growth is maximized when an economy includes a balanced mix of family and non-family SMEs. The authors declare that their manuscript is compliant with ethical standards and they have no conflict of interest. De Massis, A., Kotlar, J., Campopiano, G., & Cassia, L. (2013b). The impact of family involvement on SMEs’ performance: Theory and evidence. Journal of Small Business Management. doi: 10.1111/jsbm.12093.